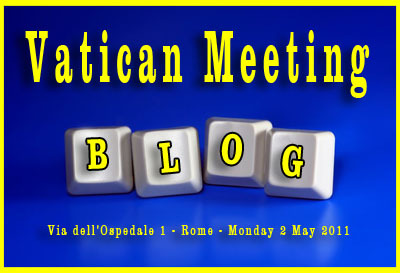 The Catholic Jedi Academy: Vatican Blogger Meeting - Oh Please, Can I Go? Fr. 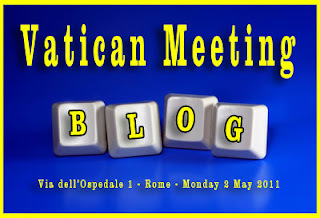 Tim Finigan of the Hermeneutic of Continuity, has posted the announcement that a meeting of bloggers is to be held in the Vatican on May 2nd, the day after the beatification of Pope John Paul II. Wouldn't that be fun? Too bad that time and funds do not permit. Even if they did, you have to apply and be selected. If Jeff Miller of the Curt Jester isn't sure that he would be selected, what chance do we have here at the Catholic Jedi Academy? Oh well, a blogger can dream, can't she? A meeting of bloggers will take place on the afternoon of 2 May. The event, organized by the Pontifical Councils for Culture and Communications, aims to enable a dialogue between bloggers and representatives of the Church, to share the experiences of those working in this field and to better understand the needs of that community. The meeting will also present some of the initiatives that the Church is putting in place in the world of new media, whether in Rome or at the local level. In the two planned sessions, various speakers will present some key points to open a discussion open to all the participants. In the first, five bloggers, representing the different language areas, will address specific issues of general importance. In the second, there will be accounts from people involved in the communication strategies of the Church, who will present their experiences of working with new media, as well as initiatives for an effective meeting between the Church and the world of bloggers.